Home Editorial Large Bank Borrowers - Are they willful defaulters? Large Bank Borrowers - Are they willful defaulters? The factual disclosure - Whether all the facts relating to the borrowing entity, the promoter (and the group entities belonging to beneficial owners), the project, capacity, cost of the project, means of finance, suppliers, market study, and other project parameters have been disclosed in a true and fair manner to the bankers at the time of initial borrowings, additional borrowings (in case of over-run) and expansions or diversification. supplier will be very important to examine. engineering to manipulate the correct picture. The RBI needs to strengthen its regulatory framework. The entire responsibility of the current scenario has to be taken by the Reserve Bank. 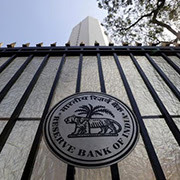 The efficacy of RBI inspections, regulatory guidelines, Statutory Audits, Concurrent Audits, Internal Audits, Inspection audits, Stock Audits and credit monitoring audits have been very severely damaged due to lack of timely initiatives of the RBI to ensure proper monitoring with detailed scope, coverage and reporting requirements of not only in respect of lending banks but also of all major borrowers. The remarks contained in special long form audit reports given by auditors for all major borrowers exceeding 2 crore borrowings, were either not looked at or were not followed up properly at the end of the regulators as well as by the banks. The appointment of auditors by banks management at the Central Statutory Auditor level as well as the branch level and reduction in number of branches being subject to audit at the initiative of Reserve Bank and the then Finance Minister had put a very big nail in the coffin of financial proprietary. Group concept need to be implemented for all appraisals and assessments and the borrowers promoters are required to be mandated to disclose actual performance of the units/companies managed by them (including all close relatives) during last twenty years and cases of defaults, settlements diversions, failures and good performance. The borrowers group need to confirm on affidavit about true and fair disclosure and personal liability of the promoter and his family (close relatives), in case of wrongful disclosures or non-disclosure of any material aspect or diversion of funds, over invoicing, in genuine book entries and so on. The lending bankers need to play a very important role in credit monitoring. The credit monitoring need to be intensified as the exposure per unit or per group goes up based on overall exposure of the banking system as a whole and not based on exposure on respective banks alone. Multiple banking needs to be replaced by consortium banking. The consortium leader and the participating banker's rights and responsibilities to be defined by clear cut code. The banks need to ensure that basic fundamental principle of financial management is being followed by the borrower as well as the group. NO borrowing outside consortium to be permitted in the group companies also. Effective bank nominees need to be appointed on the board of the borrowers as well as the group entities. Higher the exposure, higher the number of borrowers, nominees on the board of directors. Utilisation of Funds - The current monitoring of utilization of funds is only a force. At best, a certificate is sought from the auditors or the independent lender's engineers. None of this is a serious exercise. It is important to appoint independent monitoring agencies and independent auditors to ensure a check on diversion of funds , bogus bills, false book entries and unethical financial engineering.